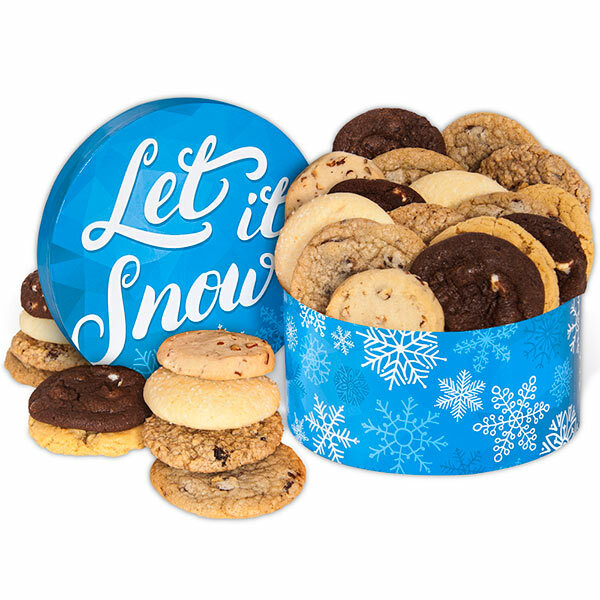 They'll just let the snow fall without a care in the world if you gift them this Let It Snow Cookie Gift Box! With cookies so fresh and delicious, there's just nothing to worry about. This beautiful gift box is full of flavors, such as chocolate chip, lemon sugar, oatmeal raisin, peanut butter, and more! Gift this delicious box of cookies today and they won't be disappointed.